You may register for the 5 Miler as an individual or as a team member! If you would like to run the race as an individual, simply select “NOT ON A TEAM” as your category on the registration page. There are two team competitions for the 5 Mile: Running Club & Corporate and Friends. 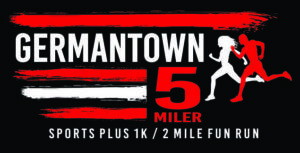 Registration for the 5-Miler includes a kid’s, woman’s v neck, or men’s tech shirt.Pricing is: $20 through February 14, $25 through March 17, $30 through May 17, $35 through Friday Packet Pick up, and $40 on race day. 2 Mile Family Fun Run: Register online $12.50 through February 14, $15 through May 17, $20 on race day. For the Sports Plus 1K Kids Run: Register online $10.00 through February 14, $15 through May 17, $20 on race day..